Maturation: Selectively finished in Grand Champagne Cognac Casks. Sweet and a little bit on the Thin side. I would imagine that Ex-Bourbon casks and some Sherry Wood were used for maturation. 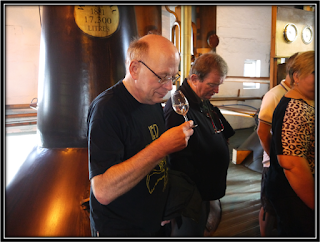 The Grain Alcohol is clearly noticeable so I think that around 30% of this Spirit is Malt Whisky. I don't know exactly which Single Malts were used but Strathisla and Longmorn are possible candidates. The main drivers are Butterscotch, (Dried) Fruit and Citrus Peel. Toasted Grain, Buttered Toast, Butterscotch, Caramel, Dried Fruit like Raisins, Sultanas and Apricots, Artificially Flavoured Candies, Orange, Stewed Orchard Fruit, Dough, Straw, Dusty Refill Oak, Grain Alcohol and Cinnamon. Toffee, Vanilla, Brown Sugar, Heather-Honey, Nutshells, Milk Chocolate & mere hints of Cognac, Peanuts, Peach Jam and Leather. Sugary Sweet and a little Thin. The ABV is too low for a 15 Year old Whisky. A few Bitter and Sour elements as well. 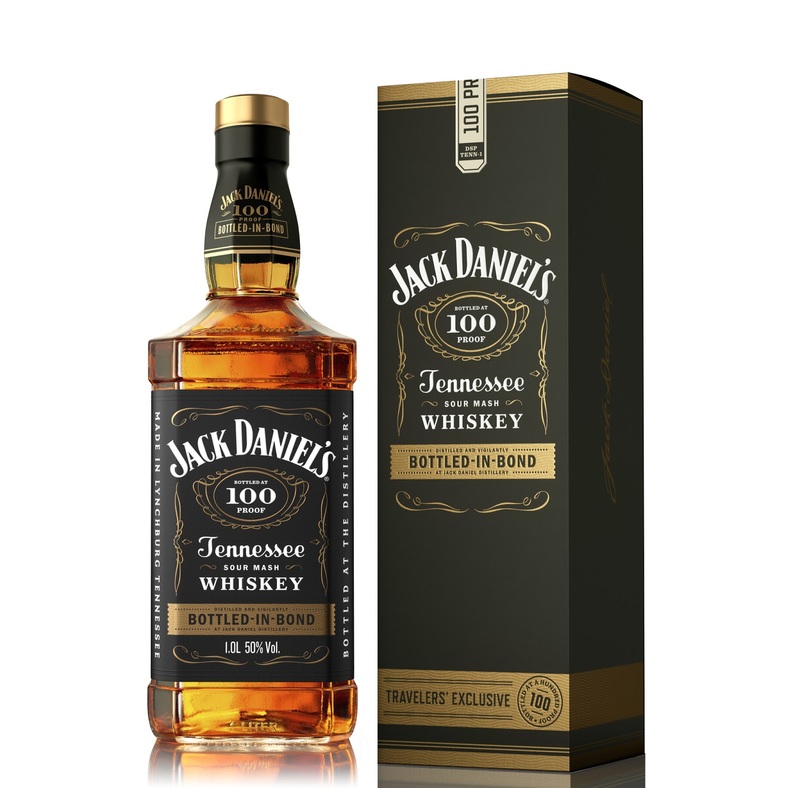 The Grain Alcohol remains very present & the Cognac Finish is hardly noticeable. Toasted Grains, Butterscotch, Caramel, Dried Fruit like Raisins, Sultanas, Apricot and Plums, Stewed Apples and Pears, Citrus Peel, Dusty Refill Oak, Grapefruit Juice, Pepper and Cinnamon. Toffee, Vanilla, Brown Sugar, Honey, Cloves, Ginger, Herbal Tea and a hint of Milk Chocolate. Middle-Long, a little Thin and Medium-Dry. Sugary Sweet at first but with some Bitterness towards the end. 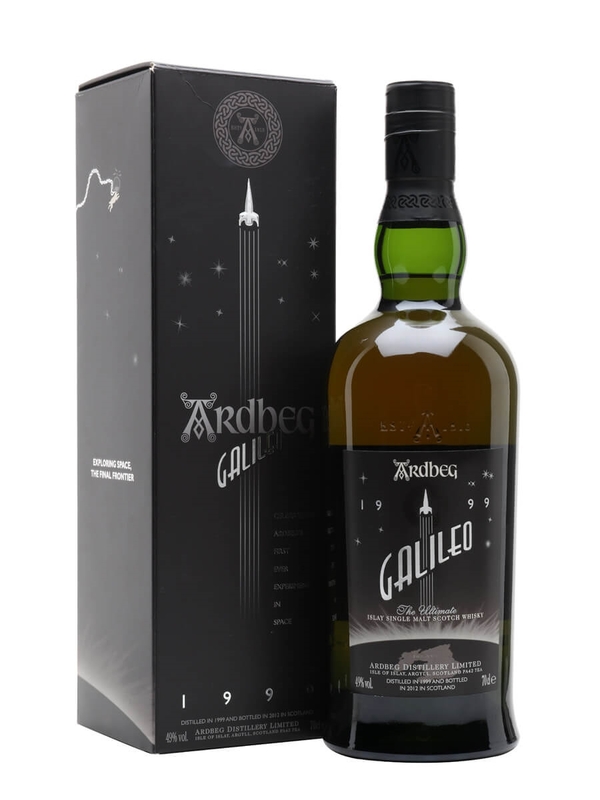 Caramel, Toffee, Vanilla, Honey, Orange, Toasted Grain, Red Apples, Pears, Lemons, Raisins, Plums, Dusty Refill Oak, Hazelnut, Pepper, Cloves, Menthol and Ginger are the main impressions. I added a few drops of Water and on the Nose the Grain Alcohol retreats and the Fruit develops. Palate and Finish practically disappear. I certainly recommend to Nose this Chivas Regal with - and without Water. It's not very interesting as a sipping Whisky but it works well over ice. The Chivas XV was launched in 2018, initially only for the Travel Retail Market. In the meantime it's available elsewhere as well. 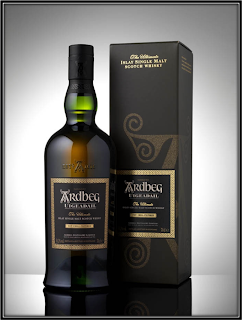 Some of the whiskies for this Blend were finished in Grand Champagne Cognac casks. The name XV refers both to the minimum age of the whiskies used and the traditional classification of the Cognac spirit. I applaud the use of Cognac casks as they will certainly enhance the Fruity side of any Spirit. In the case of the Chivas Regal XV I suspect that only a part of the Malt content was finished in Cognac casks and probably not longer than a few months. As a result the influence, while noticeable, is rather limited. 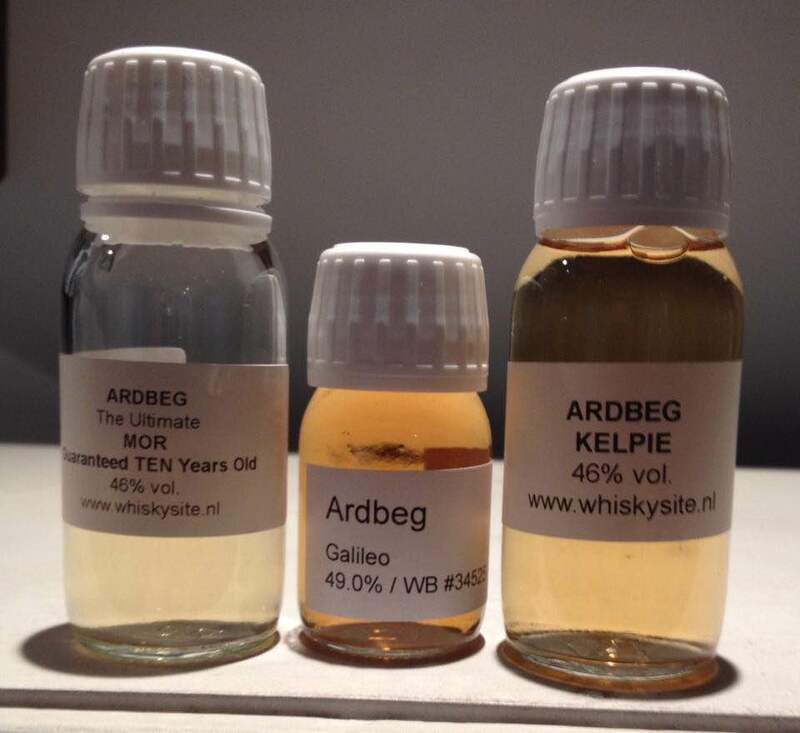 Still, these casks will certainly gain market share in the future in my opinion. 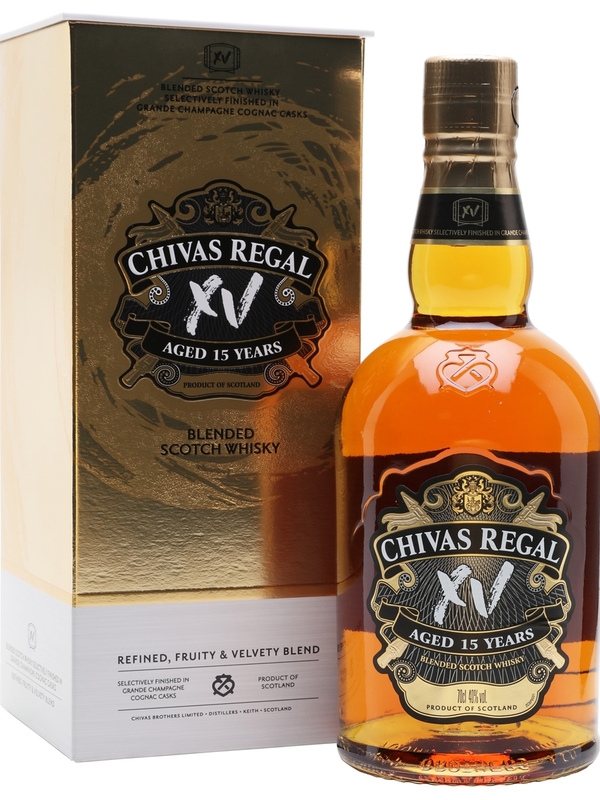 The Chivas Regal XV is not a bad blend but it suffers from the low ABV. 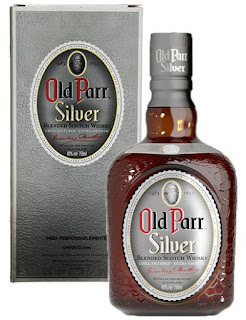 It's simply too Thin and too plain to consider as a sipping Malt. It's quite nice on the Rocks but a little too expensive that way. It's like being Between a Rock and a Hard Place! Sample provided by: Mauricio from Brazil. Many Thanks! 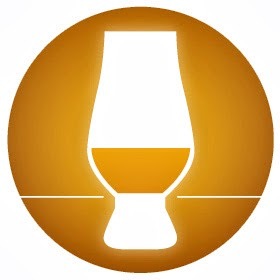 Buying Advice: 😊Good Single Malt. P/Q ratio: 😒Quite expensive for its age! A Sweet and Medium-Dry combination of Red Wine, Red Fruit and Coastal Peat. It works quite well actually. 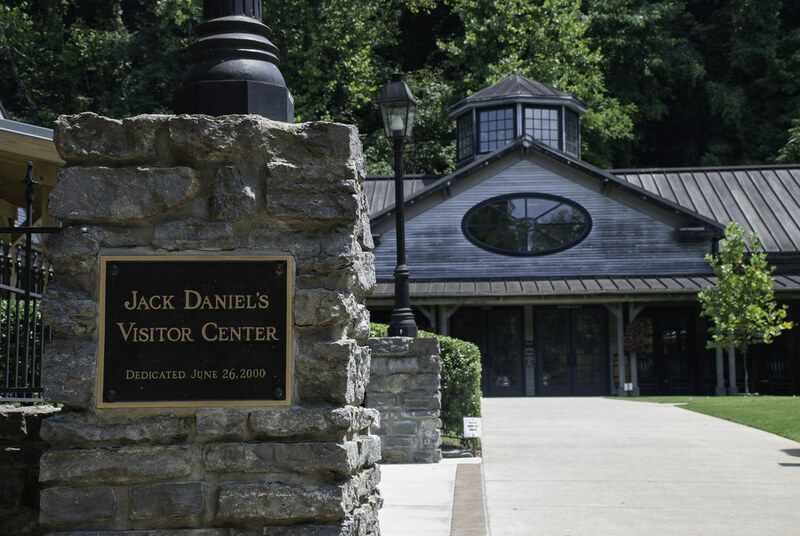 Unfortunately, the Spirit is rather young and the high ABV is a bit cumbersome. 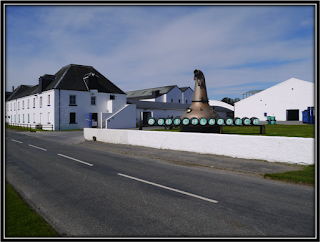 The Malt for this Port Charlotte is peated at 40 ppm but it is nicely tamed by the Red Wine casks. 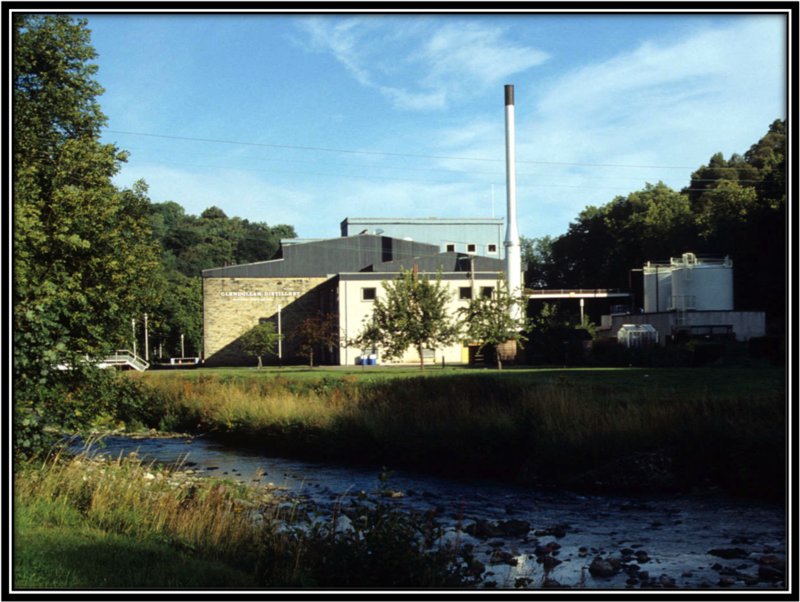 I can only imagine how good this Whisky could have been if matured for 12-15 years. It's still good but a bit too Rough and Edgy to fully convince. Sweet Toasted Barley, Buttered Toast, Salted Caramel, Red Wine, Red Berries like Blueberries & Raspberries, Wet Clay, Orange Flavoured Dark Chocolate and Roasted Coffee. Vanilla, Lemon, Tar, Ashes, Soot, Iodine, Dark Cherries, Oak Char, Nuts, Salted Fish/Shellfish/Bacon, Straw, Leather, Tobacco, Cinnamon and Mint. Mainly Sweet with a little Bitterness towards the end. The high ABV can't hide the relative Youth of the Spirit. Peat and Smoke are much more noticeable at this point. Toasted Barley, Buttered Toast, Wet Peat, Cold Smoke, Hospital, Ashes, Salted Caramel, Red Berries, Red Wine, Orange, Charred Oak, Fish/Shellfish/Bacon on the BBQ, Nuts, Lemon-Grass and Pepper. 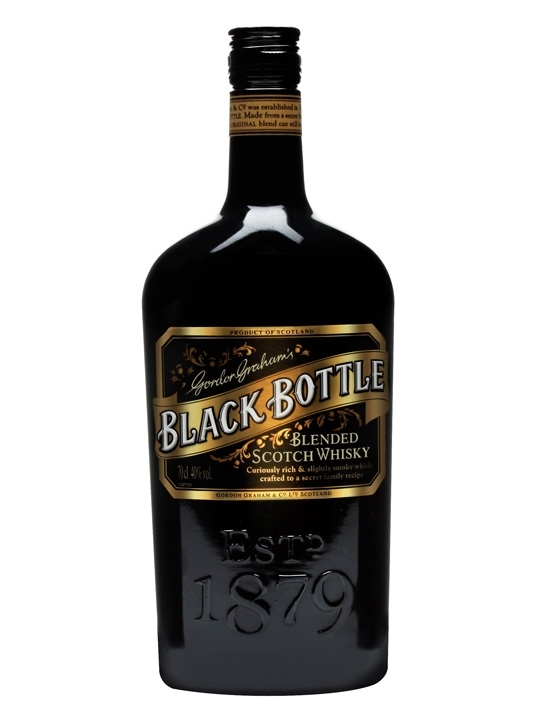 Vanilla, Honey, Coconut, Tar, Soot, Dark Cherries, Straw/Grass, Salted Nuts, Dried Herbs, Tobacco, Leather, Cinnamon, Cloves and Licorice. Sweet, Ashy and Dry. 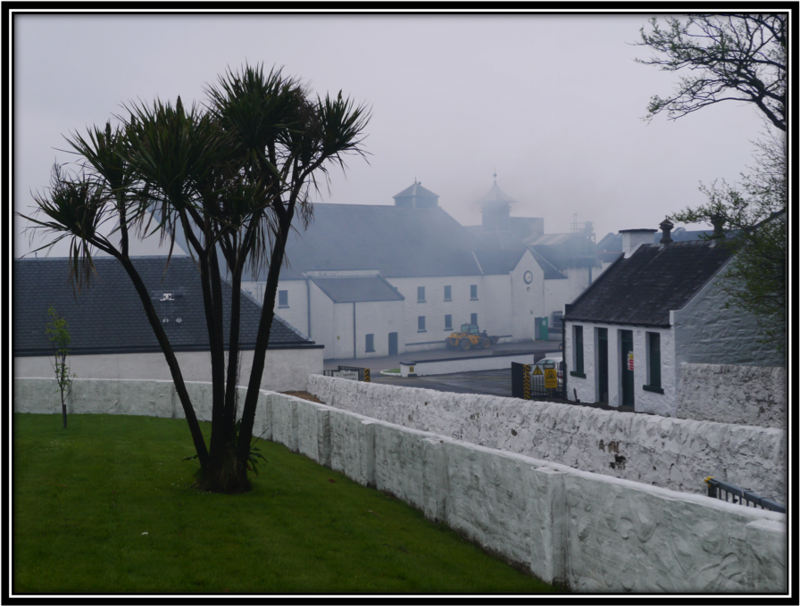 Peat and Smoke are more noticeable now. 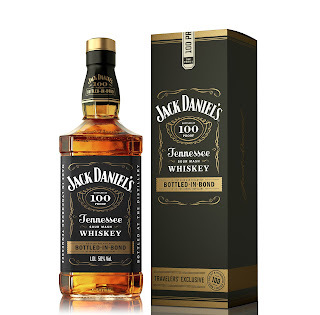 I find Toasted Barley, slightly Burnt Buttered Toast, Salted Caramel, Vanilla, Honey, Sweet Peat, Hospital, Ashes, Charred Oak, Banana, Dark Red Fruit, Red Wine, Salted Fish/Bacon, Nuts, Espresso, Lemon-Grass, Citrus Fruit, Pepper, Cloves, Leather, Licorice, Herbal Tea, Tobacco and Menthol. I added a little Water and on the Nose the rather Sharp Alcohol retreats. 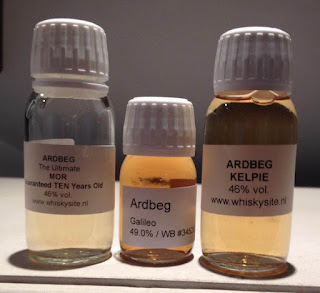 The Peat comes more to the forefront now while the Fruit is less intense. The Palate becomes a little more Creamy but the Finish looses intensity. As usual, this is a personal matter but a few added drops can't hurt in my opinion. Bruichladdich was founded in 1881 by William Robertson and William and James Greenless. In 2003 the distillery was bought by Burn Stewart Distilleries, part of Distell Int. Ltd. The distillery and surroundings really needed investments as we witnessed during our visits in 2014 and 2017. And finally this is really going to happen. Some warehouses will be demolished and new ones will be constructed closer to the sea. All other buildings will be refurbished and a much needed new Visitor Centre will be created. All this will probably be ready by 2022. 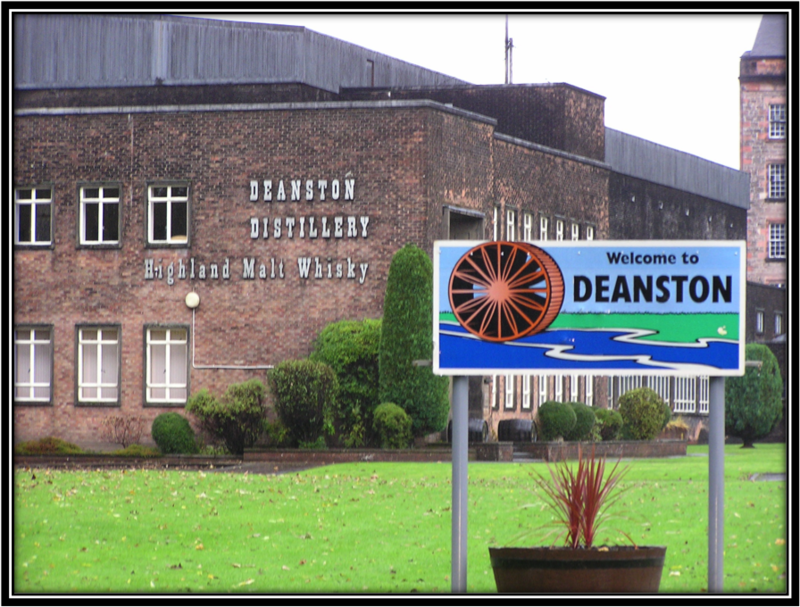 The distillery produces over 2 million litres per year of which 35% is peated. 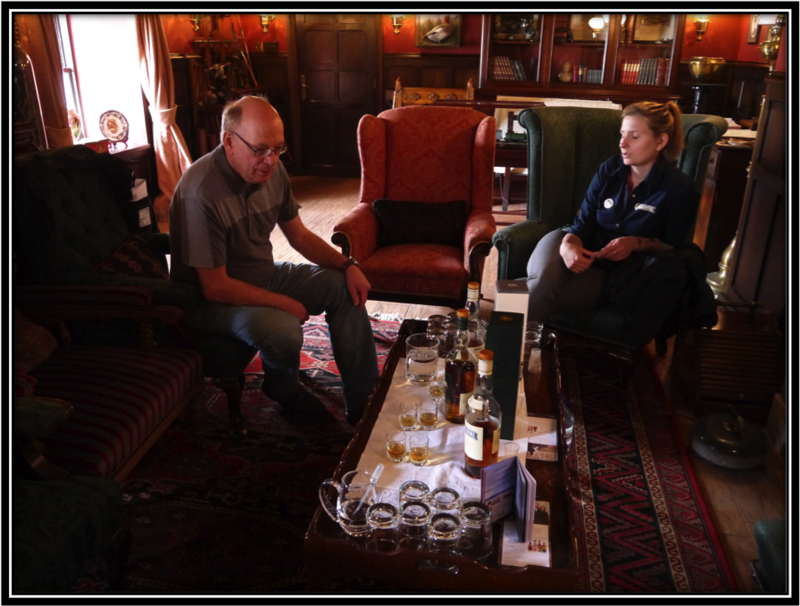 The core range includes the 12, 18, 25 and 40 Years as well as the peated Toiteach A Dha and Stiuireadair. 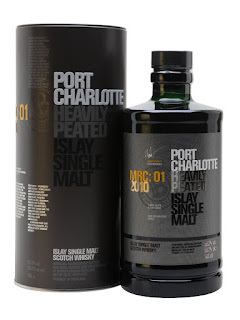 The Port Charlotte I'm reviewing today was released in 2018. 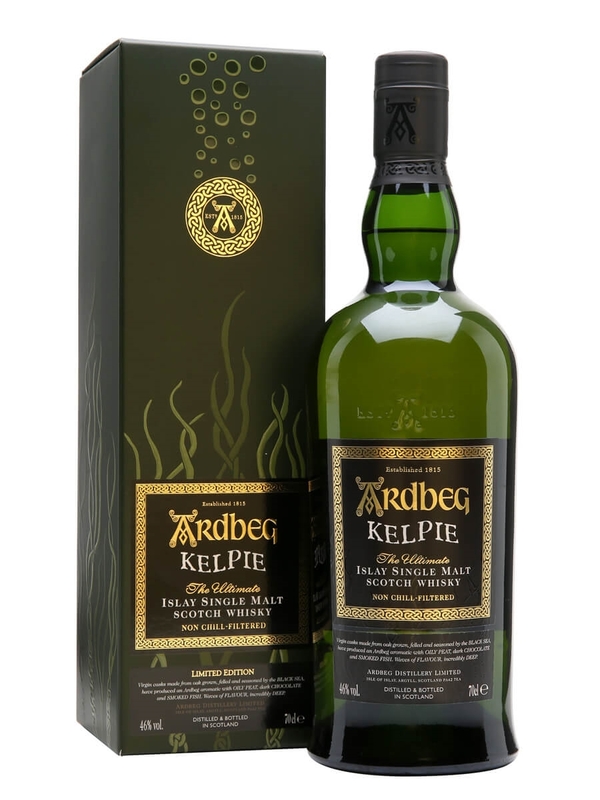 It is made with 100% Scottish Barley from the Invernesshire region. 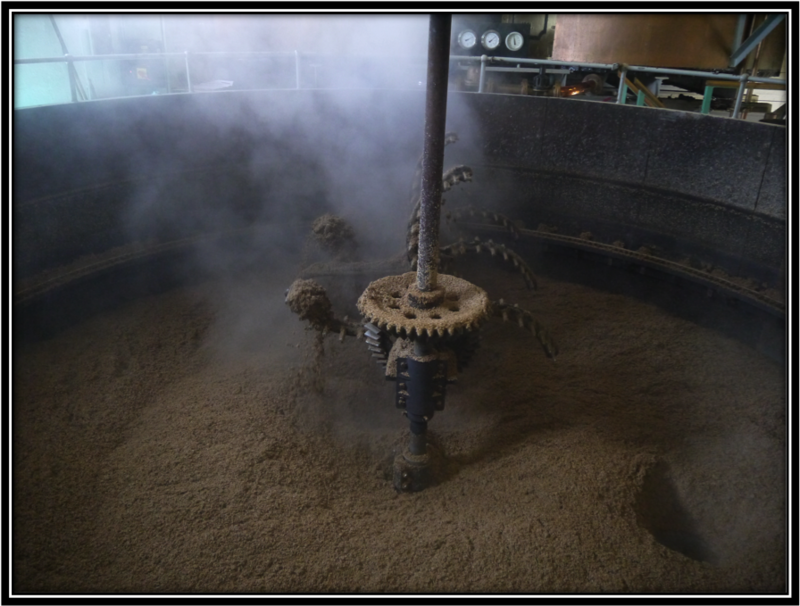 The Spirit matured for 50% in First-Fill Bourbons casks and 50% Second Fill French Red Wine casks that were subsequently married and finished for a year in Red Wine casks from the Bordeaux Chateau Mouton Rothschild. That explains the MRC in the name of this Single Malt. In the old days it was usual to ship French Wine in casks to the UK to be bottled there. 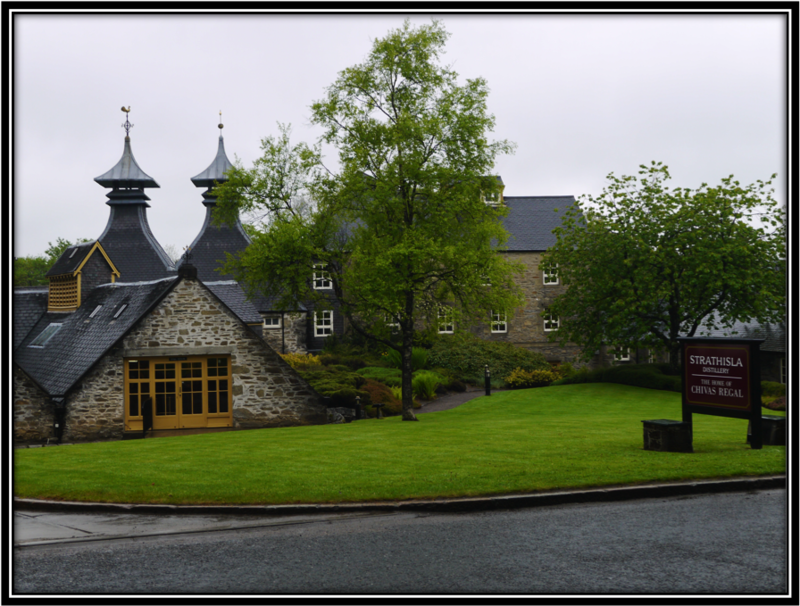 These casks were then bought by the Whisky industry to mature their Spirit. This lasted until cheaper Bourbon casks became available. 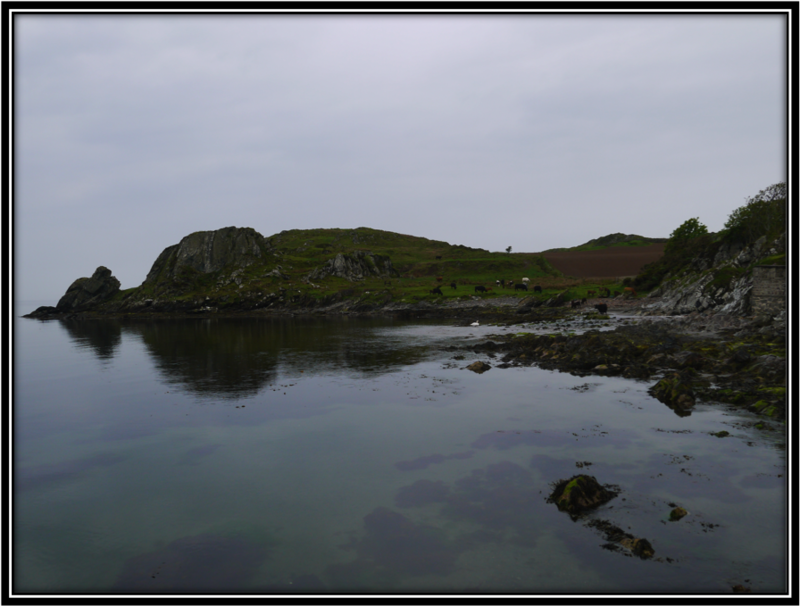 The MRC 01 seeks to revive this relationship between Scotland and France. 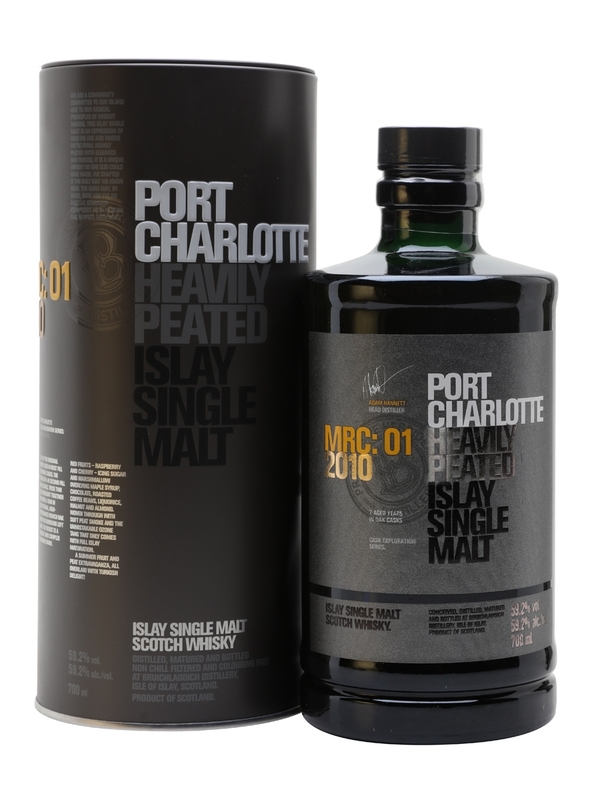 The Port Charlotte 2010 MRC 01 is a good Single Malt but it could have been a great one. How? The maturation time should be increased to 12-15 Years. That would automatically bring the ABV to a more suitable level. The MR Finish could be a bit longer and/or you could introduce a number of First-Fill Red Wine casks to the maturation. As so often is the case, the idea behind the MRC 01 is good but it simply does not get enough time to truly develop its potential. 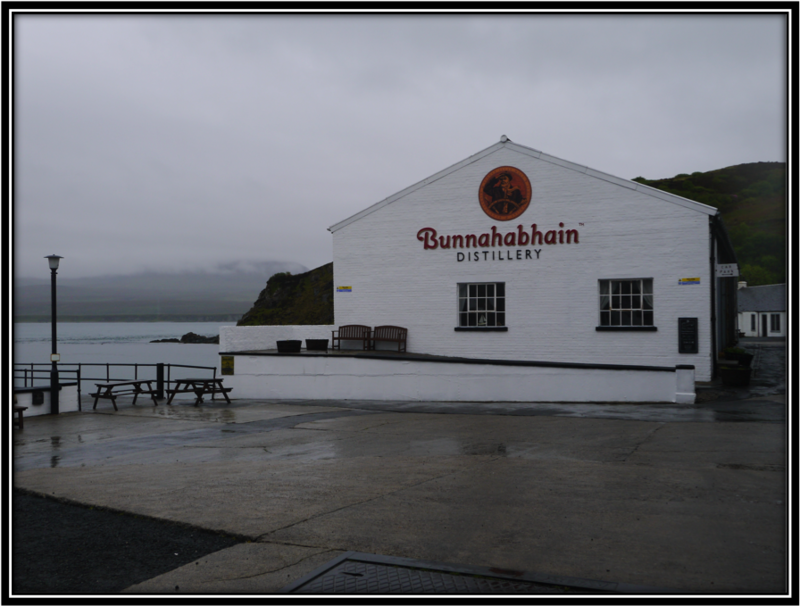 It's still a good Single Malt but it could have been so much more!